Even though Halloween is over, here is one super sustainable design solution that is bound to keep the green spirits happy for the rest of the year. Direct from Denmark, Bendt Stov recently launched DanCof, an innovative range of eco-coffins and urns that have been molded from biodegradable, long fiber recycled paper (PULP). Taking good habits beyond the grave, Bendt Stov’s innovative coffins will allow the environmentally conscious to carry their green credentials into the afterlife. Every year billions of people die and millions of those people are buried in coffins made from chipboard, MDF or materials that can pollute the ground they are buried in. 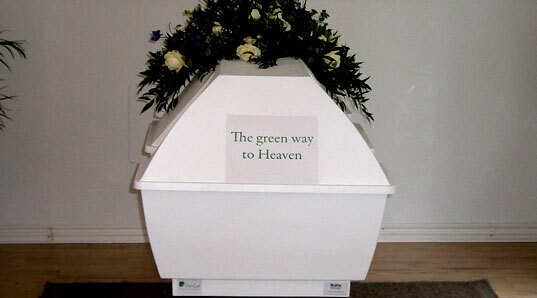 The DanCof coffins are a welcome addition to the green funeral sector, although they do have some stiff competition from the cardboard coffins , Eco Pods and Soul Ash Solace – companies which also provide more natural burial options. 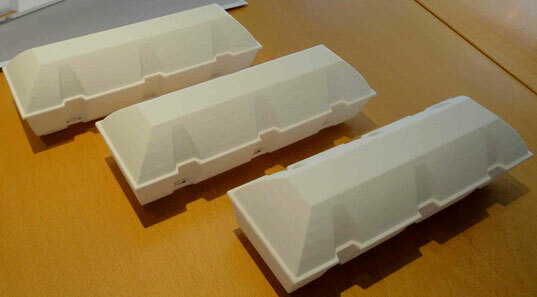 However, unlike the others on the market, DanCofs have the ability to be molded into more traditional coffin shapes, creating a more elegant solution. Seems like a fantastic solution. Even though Halloween is over, here is one super sustainable design solution that is bound to keep the green spirits happy for the rest of the year. Direct from Denmark, Bendt Stov recently launched DanCof, an innovative range of eco-coffins and urns that have been molded from biodegradable, long fiber recycled paper (PULP). Taking good habits beyond the grave, Bendt Stov's innovative coffins will allow the environmentally conscious to carry their green credentials into the afterlife.